It's been a while since I have posted any pictures of that large molehill that's around here. So I figured why not post a picture of Mt. Hood! 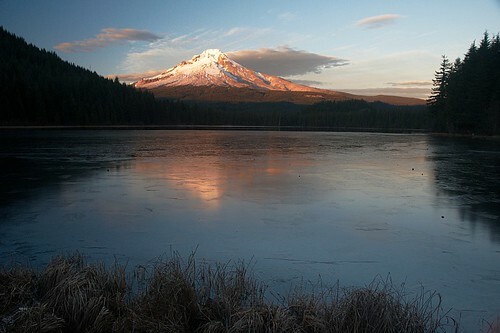 This was from a wonderful evening at Trillium Lake last December.